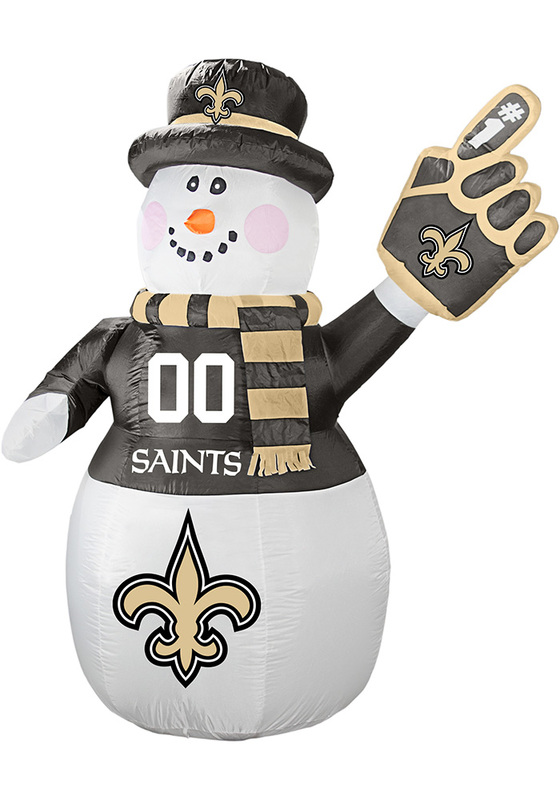 Get ready for the season with this New Orleans Saints White Outdoor Inflatable 7 Ft Snowman. All of your neighbors will be jealous when they see this New Orleans Saints Inflatable, which features a licensed New Orleans Saints logo. This self-inflating snowman is dressed in team colors from his top hat to his scarf. All your neighbors will be jealous when they see this impressive seven foot inflatable snowman on your front lawn.